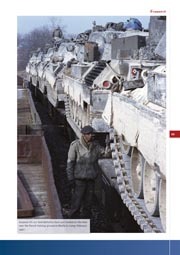 80 pages, soft cover, full-colour photos. 149 photos and diagrams. 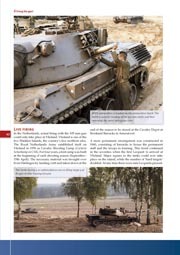 Dutch Leopard 1 - Armoured Fist of the Dutch Army is the first book from a new specialist publisher, Trackpad Publishing. 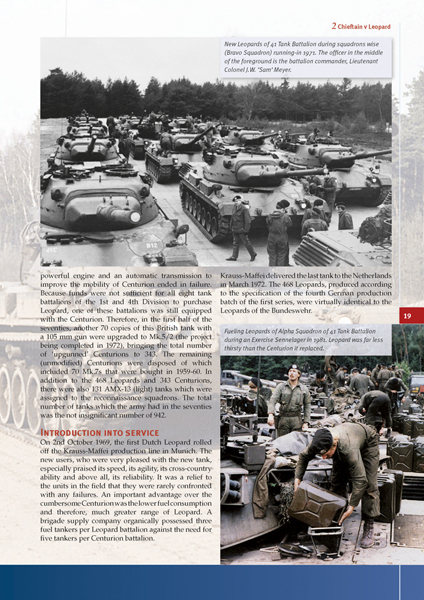 Michael Shackleton, author of the Leopard 1 Trilogy, is the man behind the project. At the end of 1969, the first of 468 Leopard 1 tanks from the German manufacturer Kraus-Maffei were transferred to the Royal Dutch Army. The Dutch cavalrymen had waited anxiously for this new, reliable and above all, mobile tank which would partially replace Centurion. 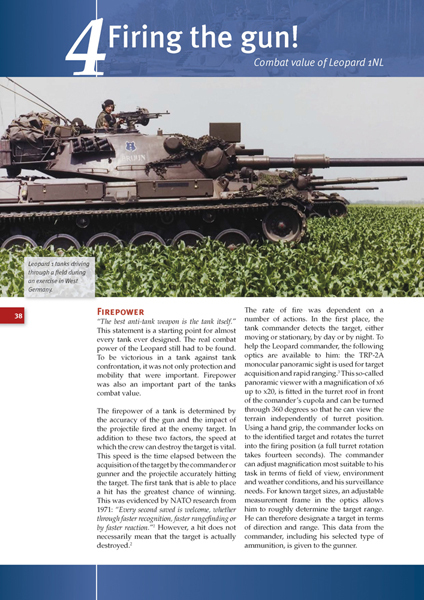 The superiority of the Warsaw Pact saw NATO forced to act in a mobile fight. In the eighties, the Leopard underwent an extensive improvement involving the military, the press and politics. After the fall of the iron curtain, and after twenty years of service, the end came for this defining tank within the Dutch Army. With hindsight, did the Leopard 1 meet its high expectations? We must be honest and say the answer is no. Why? Read the book and all will be revealed! 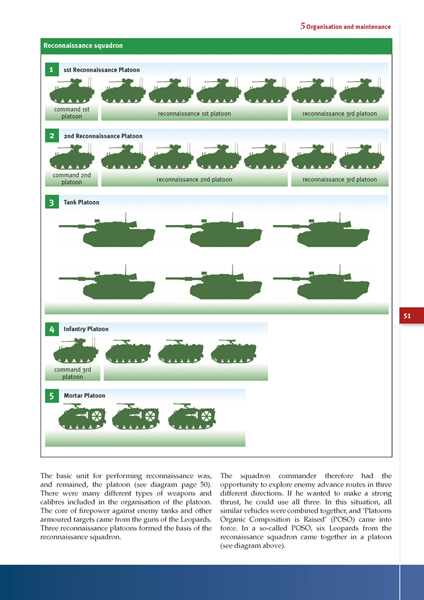 The author, Willem Smit, affiliated with the Netherlands Institute of Military History, pays tribute to the operational deployment of this battle tank and also focuses on the development, testing, troubled service and phasing out of the Leopard 1 tank. 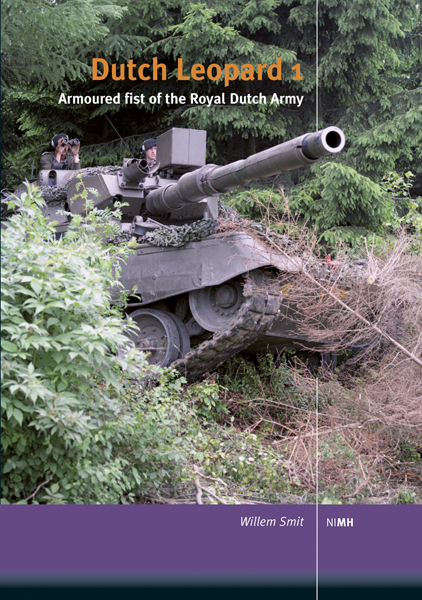 Armoured fist of the Royal Dutch Army is a richly illustrated book, accessible to both the uninitiated, the modeller and the enthusiast. This book was first published in 2008 in the Dutch language. The original book is now out-of-print and difficult to find, especially outside it's country of origin. 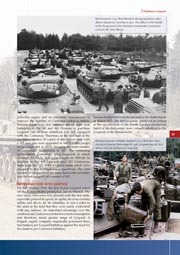 This expanded English-language edition adds some new information and photos in a redesigned format. The original book came with a documentary DVD but this will NOT be available with the English book. 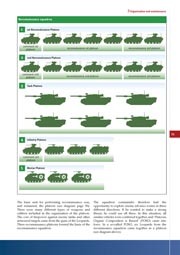 Trackpad aim to publish in different formats to suit the reader. Our books will be available via print-on-demand (details to follow) or printed conventionally. Downloadable PDF files are also a possibility which Trackpad are looking into. This is a very big step for Trackpad. Every venture has to start somewhere, so here we have our first book ready for sale. Trackpad hope that you will support them and buy their product(s)! 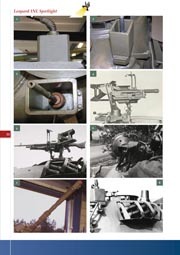 Trackpad will specialise in producing limited run books of military vehicles ~ any type, any period. If you have a subject that you think they might be interested in, then please feel free to contact them at trackpadpublish@gmail.com. Trackpad are always open to new and fresh subjects and ideas. Jason Bobrowich has written a nice review here giving more details of the book. 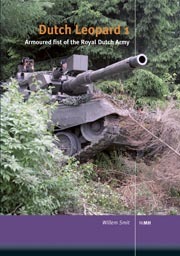 Dutch Leopard 1 - Armoured Fist of the Dutch Army is available from the Trackpad Publishing website.